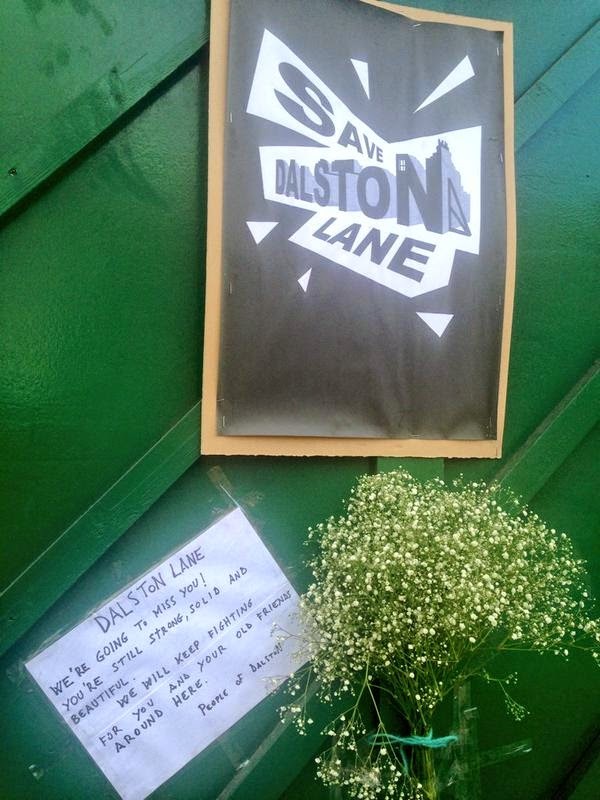 Dalston's community held a well attended wake on Saturday at the demolished ruins of No.66 Dalston Lane. A moving tribute has been left at the site of the houses which are facing demolition in Phase 2 of the Hackney/Murphy scheme. 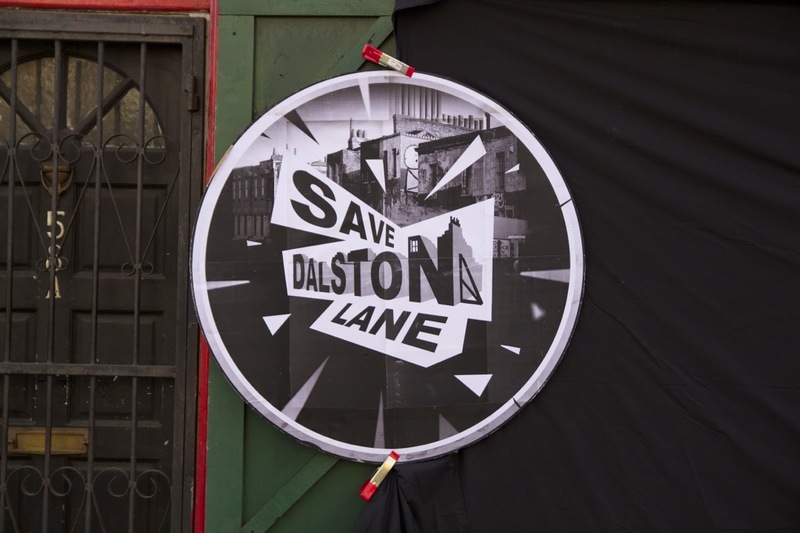 A Save Dalston Lane banner, designed by Tod Hanson, has been left on the site of the remaining six houses which, unless Hackney and Murphy have a change of heart, are to be demolished in Phase 2 of the Hackney/Murphy scheme, probably in 6-9 months time. 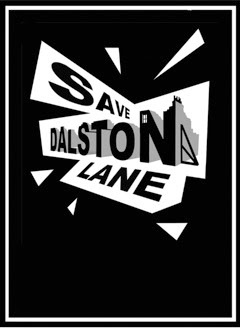 You are invited to meet at noon tomorrow, Saturday 24th January, at the ruins of 66 Dalston Lane with OPEN Dalston members to protest at Hackney Council's neglect and vandalism of our Georgian houses and its refusal to consider their restoration and the provision of affordable housing proposed by the Spitalfields Trust. 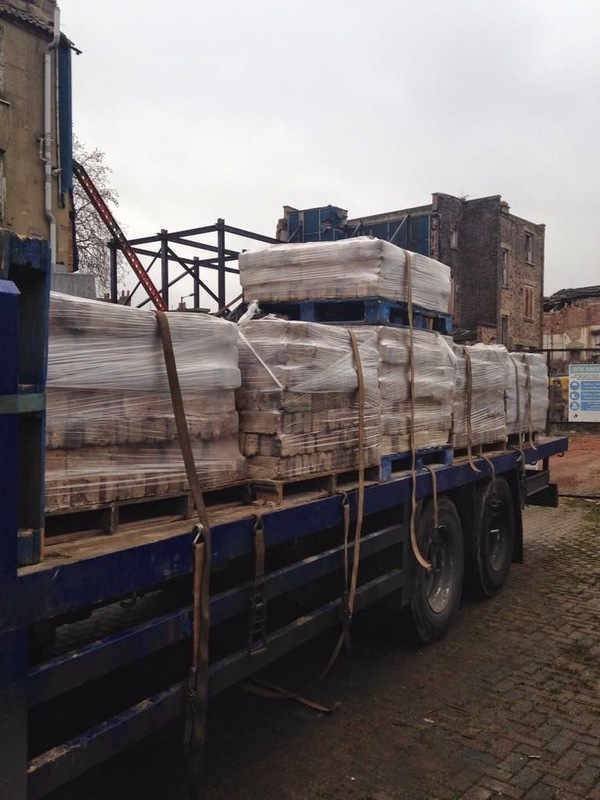 At the Hackney Planning Committee meeting on 5th March 2014, when Murphy sought permission to demolish the houses, it's architect and structural engineer advised the Committee "The stock brick was found to be of a poorer quality than expected from the Georgian era.....the bricks were already at the end of their life". This opinion was contested by Hackney's own, and OPEN's, independent engineers.The Committee's votes were equally divided and permission was granted by use of the Chair's casting vote of Councillor Stopps. 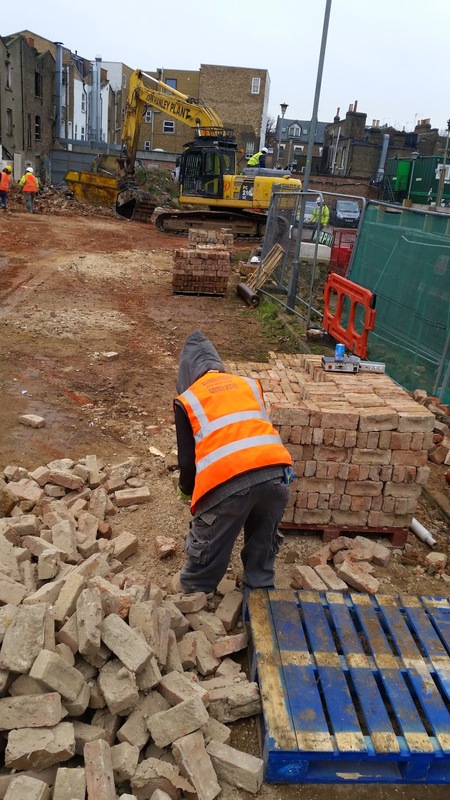 It is curious then that, as Murphy's Phase 1 demolition of 66-76 Dalston Lane is progressing, the demolition contractor is daily cleaning, stacking, wrapping and transporting hundreds of those "unusable" bricks off site for use elsewhere. 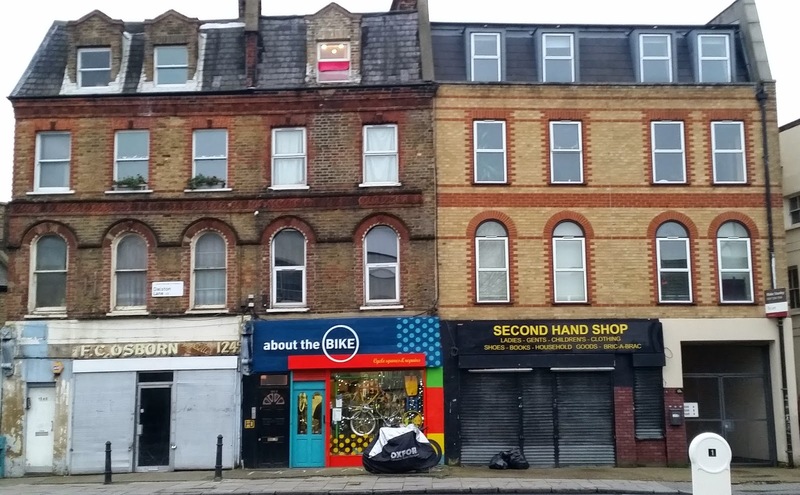 Lord Justice Sullivan has refused OPEN permission to continue with its appeal against demolition of the Georgian houses of Dalston Lane. 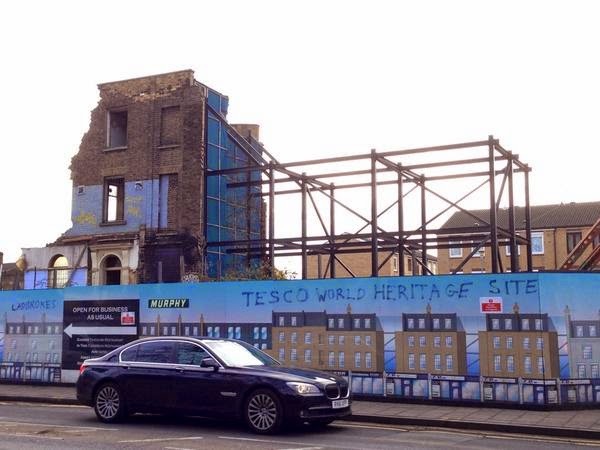 When defending OPEN's claim Hackney was reduced to pleading its own negligence - that, despite its claims to be "champions of our heritage", the years of lack of maintenance had caused such deterioration that the buildings could no longer be saved. 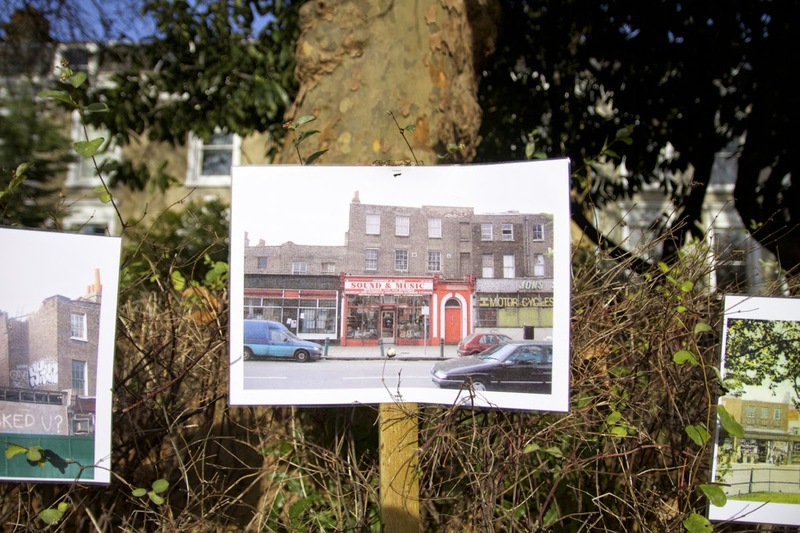 The Committee were aware that Hackney's own independent expert, Alan Baxter Associates, as well many other experts, considered that some or most the buildings could be saved. It was also aware that Hackney Council had designated the Conservation Area to protect the houses and had passed policies requiring their restoration. 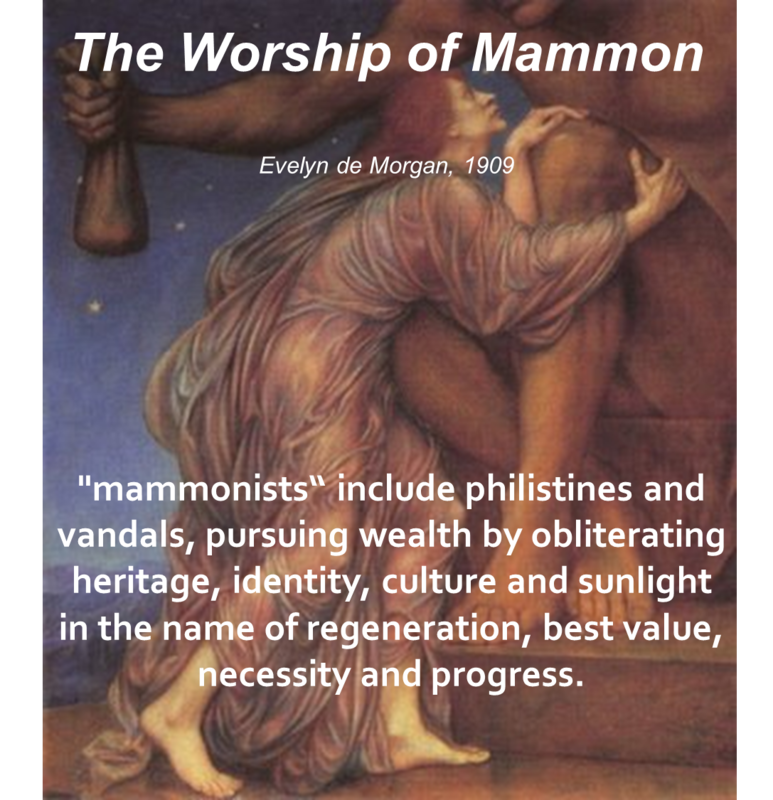 It was also aware of the hundreds of objections including those of national amenity societies like the Georgian Group and the Society for Protection of Ancient Buildings. And so, the Judges found, it could not be said that the Committee had overlooked these opinions and policies when exercising its 'planning judgement' to accept the opinion of Murphy (Hackney's development partner) that the buildings were by then beyond redemption and to allow their demolition. 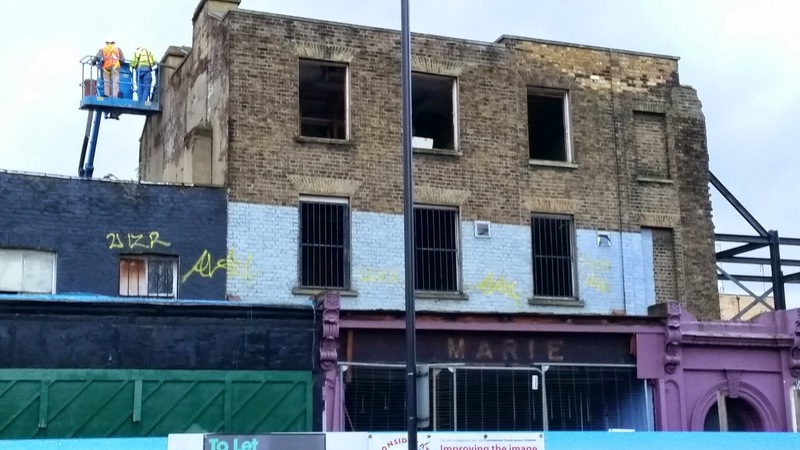 Murphy are now proceeding with Phase 1 of their plan - complete demolition of Nos 66-76 Dalston Lane and then rebuilding of the facades in "heritage likeness" with new flats all for private sale. Once complete, unless Hackney has a change of heart, it will then proceed with Phase 2 at Nos 48 - 64 Dalston Lane, in perhaps 9-12 months time. The local community and national amenity societies have strongly backed OPEN's campaign. There were over 750 objections to Murphy's planning application to demolish the houses. Faced with a divided Committee it's Chair, Councillor Stopps, used his casting vote to grant permission. 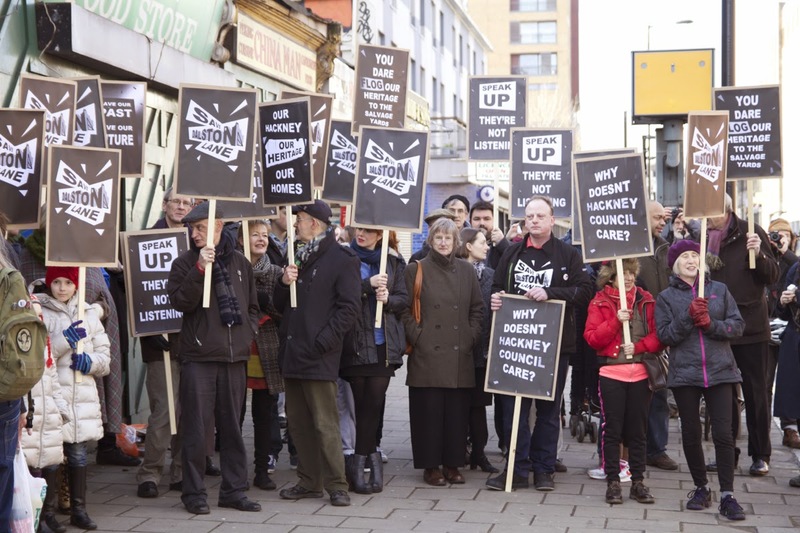 OPEN had raised over £15,000 in its appeal to fund the legal fight, which was sustained for 12 months since Hackney first tried to demolish the houses illegally. 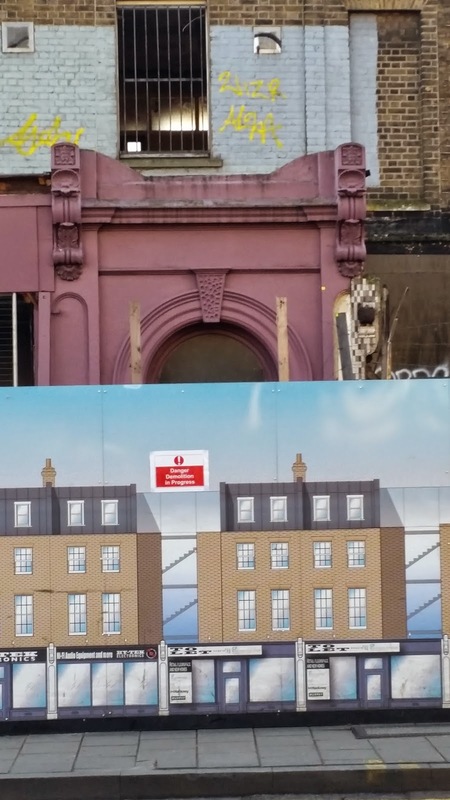 Since May 2014 Hackney have refused to consider the Spitalfields Trust proposal to restore the 1807 houses and develop the remainder with a housing association for affordable rented flats. The petition to Hackney's Mayor to allow this proposal has had over 860 signatures to date. You can still sign the petition and tell the Mayor your views, and we urge you to do so. This is a sad day for Dalston. 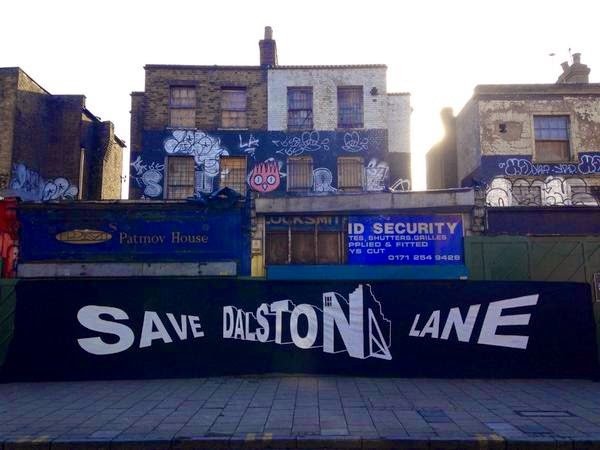 Hackney Council has already lost us £millions by its mismanagement of Dalston Terrace. Our future generations are now about to lose heritage assets, in which they could have taken pride once restored, and lose the opportunity for affordable homes which could prevent at least a few local people from being driven from the area by extortionate local rents. 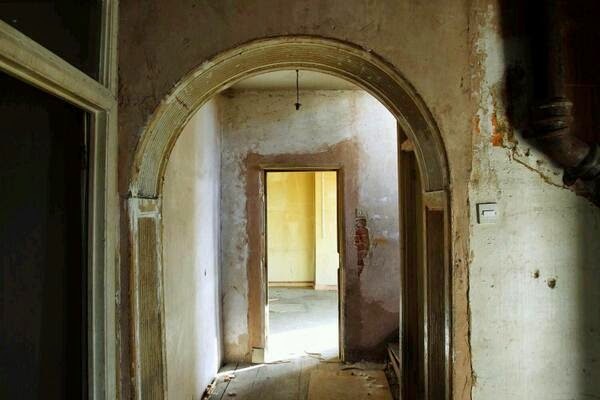 The loss will be irreversible and we are saddened by this and by Hackney's Mayor and our elected representatives failure to fulfil their promises to our community that the houses would be protected and restored. 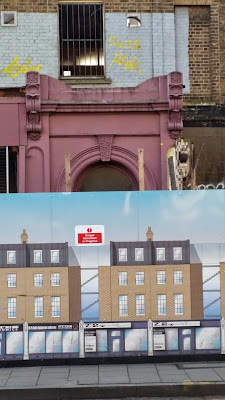 Dalston Terrace - do you want demolition and "heritage likeness" or restoration and affordable flats? The Hackney/Murphy plan is to demolish 17 of the Georgian houses in Dalston Terrace and replace them with a "heritage likeness" scheme of 44 flats with no affordable housing. 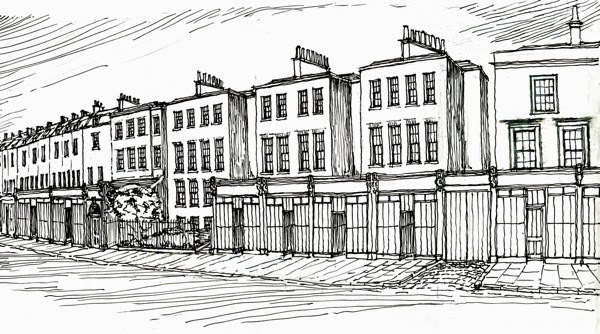 The Council advised its' Planning Committee, on Murphy's application to demolish everything, that "like-for-like reconstruction of the principal elevation of the terrace will ensure the appearance of the original terrace can be reintroduced....There will be no appreciable difference.. conservation area preserved and enhanced. " The two houses side by side - do you think that there is "no appreciable difference"? WE NEED YOUR HELP TO PETITION AND CONTINUE THE COURT APPEAL. You can follow the OPEN campaign on twitter and facebook. 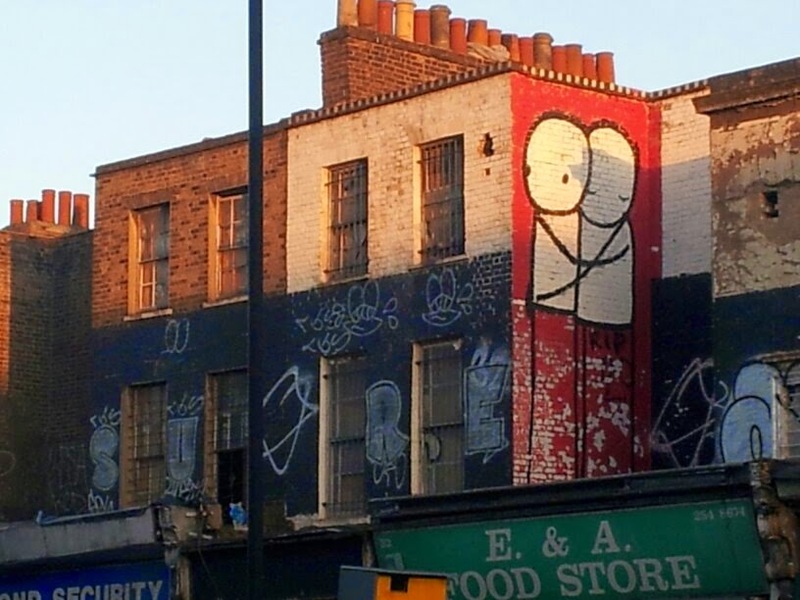 OPEN has appealed against a High Court Judge's ruling that he had no power to overturn Hackney giving planning permission to Murphy to demolish our Georgian houses of Dalston Terrace. It was not for him, the Judge said, to decide whether the decision last March was right or wrong. In his opinion, "not without considerable sympathy for the approach of the objectors", there was no procedural or legal defect in Hackney's decision which could justify his intervention. So why has OPEN appealed? Since the Court's judgement No 66 Dalston Lane, formerly 'Sound and Music', Murphy have refused to await OPEN's appeal. It has stripped the Georgian windows and chimney pots, and the roof tiles have been removed so letting the rain in, ready for Murphy's Phase 1 demolition programme. 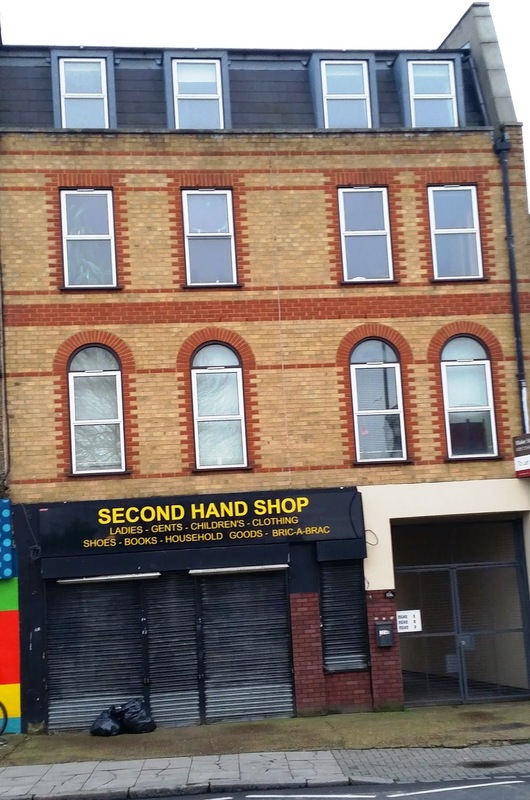 In 2012 Hackney’s consultant engineers had advised that the 17 Georgian houses could survive redevelopment into 44 flats, and demolition of the ground floor front walls to create open plan shops. The scheme was profit-led, to ensure it attracted the interest of a developer. In August 2012 Hackney granted itself planning permission but because it was to be described as a "conservation led" scheme, to meet planning policy requirements, the front facades of the houses had to be retained. The entrance of the old 'Sound and Music' shop, at 66 Dalston Lane and, on the hoardings in front of it, a CGI image of the Hackney/Murphy 'heritage likeness' reproduction scheme . 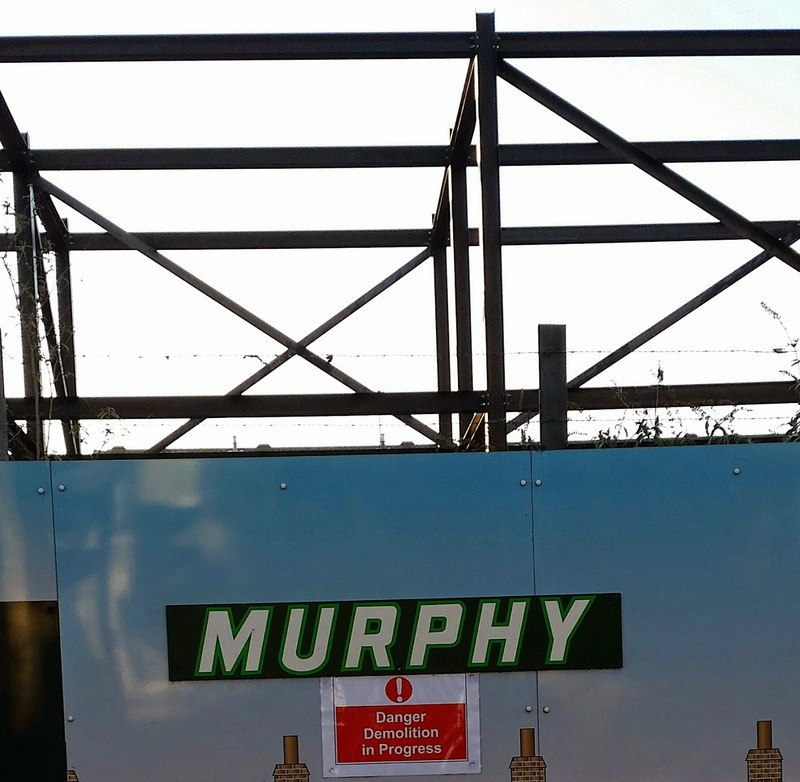 No 66 is in Phase 1 of Murphy's demolition scheme. In June 2013 the same consulting engineers, now employed by Murphy ( Hackney’s new development partner), produced a second report. It advised that the because all of the houses had had years of neglect, were badly built, with poor quality and delaminating bricks, and with walls which were bulging, dishing, and cracking, all the houses including the facades required complete demolition if the permitted scheme was to be implemented. Hackney Council next commissioned consulting engineers Alan Baxter and Associates, to independently review Murphy's report. Here is how Alan Baxter, in October 2013, described No 66, the former "Sound and Music" shop (which Murphy have now started demolishing). Previous alterations: Large opening formed at ground floor level. The parapet has been part rebuilt. 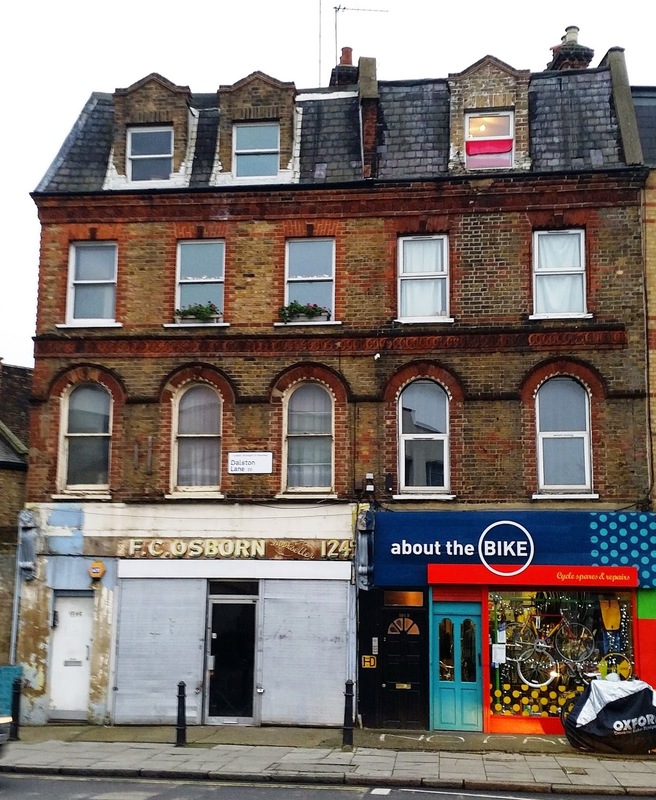 The side walls of No 58 and 66 Dalston Lane ( the old Sound and Music shop, were propped by a steel frame after JON's Scooters and Pizzey's Flower Shop (60-64 Dalston Lane) were burnt down whilst owned by an off-shore company. They were later demolished by Hackney. 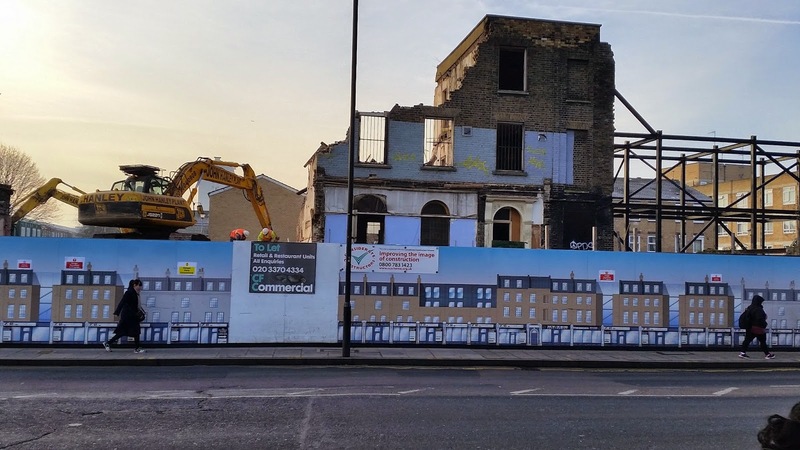 A month after Hackney had received Alan Baxter's report, Hackney's Planning Department signed off Murphy'structural assessment and method statement for demolition of Dalston Terrace. The following month, December 2013, and although no planning permission had been granted for demolition of the facades, it authorised Murphy to commence complete demolition. Community outcry stopped the works. So when the Council came to its Planning Committee in March 2014, on Murphy's application for total demolition, it had already made up its mind the previous December. It recommended demolition of everything and rejected the opinions of its own independent consultant Alan Baxter and the other experts, amenity societies and members of the public among the750 objectors to Muphy's planning application. 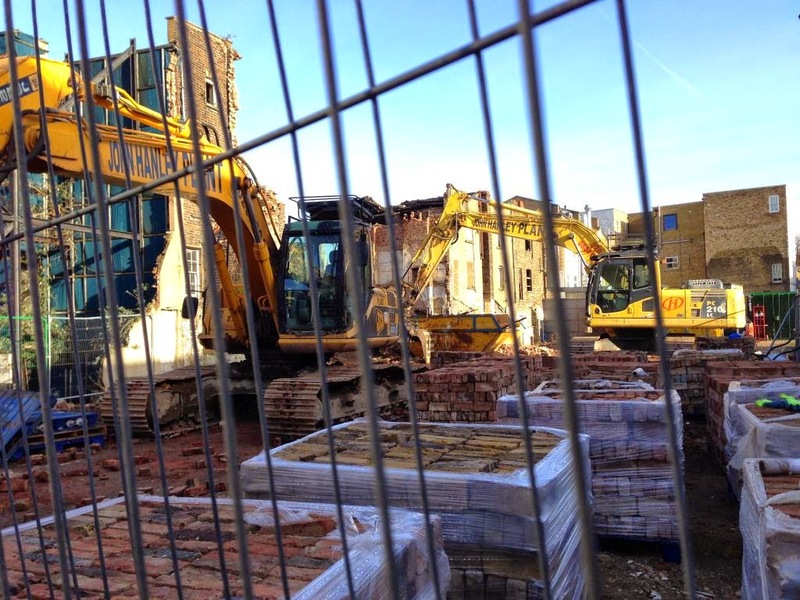 There has been no sound explanation given to justify the complete demolition of all of the houses - and Hackney's Planning Committee gave no reasons. 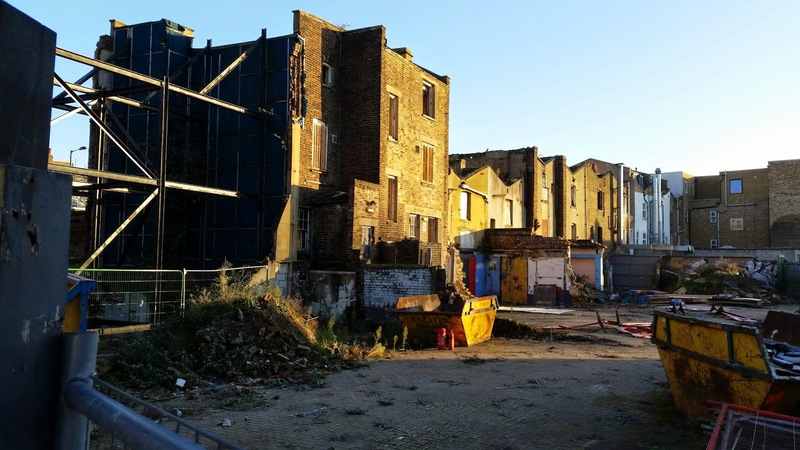 The Spitalfields Trust proposed a scheme last May which could be built without total demolition, restoring the 1807 houses and redeveloping the remainder to provide affordable housing, but Hackney have still failed to properly consider it and the public benefit arising from it. 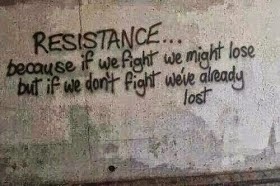 WE NEED YOUR HELP TO CONTINUE THE APPEAL.You really can help the campaign by signing the petition and help the legal fighting fund by making a donation or by buying some merchandise.